Fabien Castanier Gallery Miami is excited to present a special evening with Sebastien Laboureau and the work of Speedy Graphito. 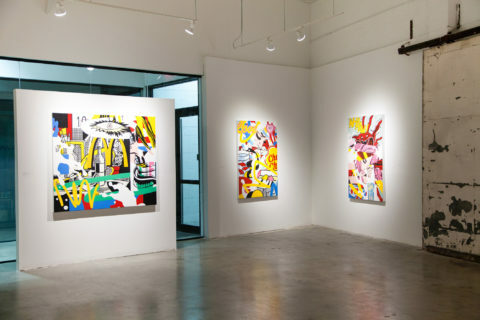 Taking place Saturday, April 22nd @ 6:00-10:00pm, the gallery will have a screening of "An American Story" a short documentary on Speedy Graphito's exhibition, an Art Talk with Sebastien Laboureau (Art Advisor) and then a closing reception with drinks and music. The event is RSVP only, please contact rsvp@castaniergallery.com. 8:00pm - Closing reception with drinks, music, and a projection of Speedy Graphito's feature-length documentary "Ainsi soit Lapinture..."